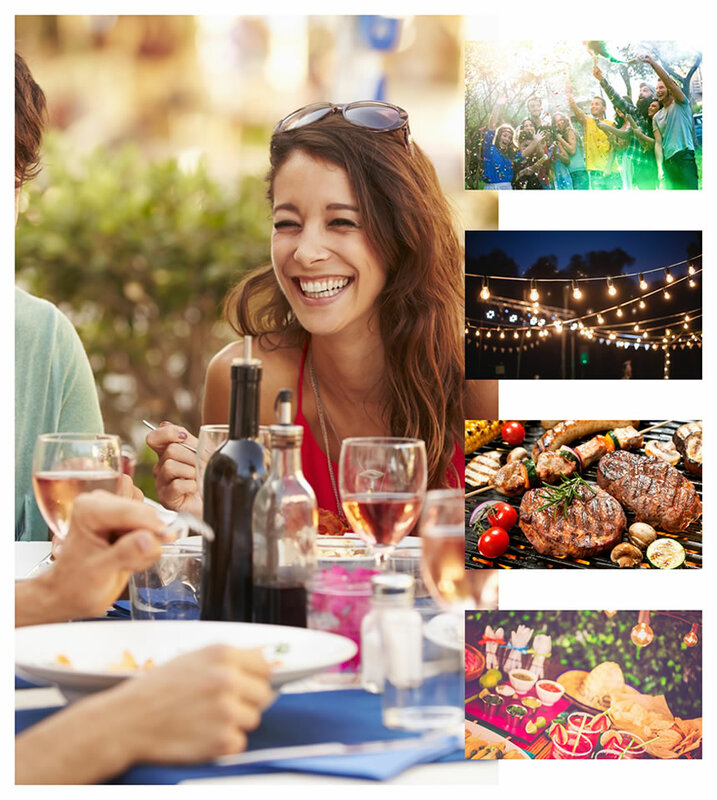 There’s nothing like a summer party including a delicious barbecue to give your staff a boost to their morale and now’s the perfect time to start planning one. When you show your staff how much you value them, they’re motivated to do their best and a barbecue party at Kippure Estate has something everyone will love. Everyone can relax with a sumptuous barbecue, featuring delights such as grilled lime & chilli marinated chicken breast with garlic aioli or gourmet beef burger with grilled onions. We’ve got the vegetarians covered too, with a wide range of options including grilled halloumi stacks or vegetarian burgers. Alternatively, go all out and have a hog roast on a spit for something truly special. Your staff can relax and take it easy while they take in the stunning views. Alternatively, they can entertain themselves with our fun giant garden games, like Giant Jenga and Mega 4, included at no extra cost. There’s nothing like a bit of friendly competition to keep everyone happy. Alternatively, why not extend your party to include some exciting fun activities, such as archery, high and low ropes challenges or classic field day activities? Talk to us about what your team would love to do. We’ll be more than happy to put together a quote for a programme everyone will enjoy. Kippure Estate is the ideal location for your summer event, with acres of beautiful countryside set in the heart of the Wicklow Mountains. We can decorate the grounds with bunting and lanterns chosen to reflect your theme and we have an extensive menu for you to choose from, so you can put on a lavish barbecue for everyone to feast to their heart’s content. We can cater for all tastes and requirements, with a garden bar for refreshments. Your staff will be talking about your Kippure Estate summer party for years to come.